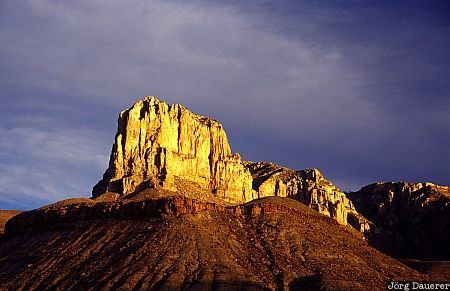 The impressive rock formation "El Capitan" in Guadalupe Mountains National Park illuminated by soft early morning light. Guadalupe Mountains National Park is in the western part of Texas, United States. This photo was taken on a sunny day in February of 2004.